Please contact Professor Smith for slides. The AALS Standing Committee on Curriculum Issues has asked me to do a session on case studies as part of the program on "Teaching Beyond the Appellate Opinion." (See the Annual Meeting Program in pdf here.) 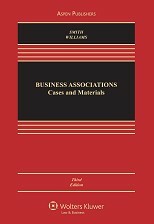 This year and last, I have used the case studies as a basis for team homework assignments in my Business Associations course. (For more on why I use teams in the classroom, see here.) I run through a PowerPoint of the case study in class, then assign the students a transactionally oriented problem based on the case study. For example, this semester, my first homework assignment of the semester is based on the Red Hat case study, and I asked students to answer the questions at the end of the case study as a team. It is a very simple assignment to generate from my side, and it invites transactional thinking, which I want to encourage. Joseph K. Adlerstein sued Duane Morris in 2004 after he failed to receive $1.6 million of a $1.8 million settlement with his former company, SpectruMedix. He claimed the firm committed legal malpractice by failing to ensure the settlement agreement included some form of security in the event SpectruMedix didn't pay up. The case, Adlerstein v. Duane Morris, was filed a year after Duane Morris sued Adlerstein for not paying more than half of his $480,000 legal bill. He had paid the firm $200,000 -- the only portion of the settlement with SpectruMedix he actually received. Throughout the trial, Duane Morris had argued that it asked SpectruMedix and its then-new Chairman Ilan Reich for security but Reich refused. Duane Morris' counsel, Nicholas M. Centrella of Conrad O'Brien Gellman & Rohn, said in court that it was Adlerstein's fault for walking away from an earlier settlement agreement that would have guaranteed $800,000 to be paid in five days. He made a second mistake, Centrella had said, when he signed the agreement for the $1.8 million even after he allegedly knew there was no security. Clifford E. Haines of Clifford E. Haines & Associates represented Adlerstein and argued in court that it was Duane Morris' duty to ensure security or advise Adlerstein that he might be making a bad decision by signing an agreement with no security. The jurors came back with a 7-to-1 verdict in favor of Duane Morris. Haines said it was the seven women against the one male juror. The attorneys did get a chance to talk to the jury after the verdict was given. Haines said the jurors seemed to feel that Adlerstein should have understood the terms of the agreement. "They were troubled by the fact that Dr. Adlerstein had in fact signed the agreement," he said. At the time of the story (this past February), Adlerstein's attorney was intent on filing appeals, so we may not have seen the end of this case, yet. But I can't find any additional updates online. Kaimi Wenger blogged about the second edition of the casebook at Concurring Opinions. Early returns on the new edition have been positive, and we hope that continues. I am teaching it right now and loving it. Please let us know if you have any suggestions for the third edition ... it's never too early to start! The directors in this instance walked into a potential liability trap with their eyes wide open: they knew the Company was “in play,” they knew what the proper discharge of their fiduciary obligations in connection with a sale of control demanded, and yet they appear, on the limited record before the Court, to have done nothing to prepare for a possible sale. That's the central point of the new opinion: on the summary judgment record, the defendants "did nothing (or virtually nothing)" to fulfill their Revlon duties. Thus, "the directors may have consciously disregarded their known fiduciary obligations in a sale scenario." In other words, the defendants may have acted in "bad faith." Thus, the court wants to see a more developed record. That is all. One of the most important aspects my course re-design project this summer was my strategy to move my PowerPoint lectures outside of the classroom. When I explained to my teaching advisers at the BYU Center for Teaching and Learning the tension between my desire for adequate, if not comprehensive, coverage and the time demands of interactive, team-based learning, their first question was this: can you move any of your current classroom activities outside the classroom to free up more of your classroom time? I have always used PowerPoint lectures to introduce new topics. These lectures condense and reformulate the readings, ideally providing students with simple takeaways on each topic. I try to keep these lectures short, usually around 5-10 minutes, and students rarely speak. These lectures seemed like perfect candidates for internet distribution. While these PowerPoint sessions may not be the most valuable use of class time, the students seem to value them relatively highly. So I have decided to retain the activities, but move them outside the classroom. The challenge then became a technological one. Lectures are easy to record, and PowerPoint slides are easy to produce, but I was looking for an effective means of combining the lecture with the slides. Enter Adobe Presenter. This simple add-on to Microsoft PowerPoint allows me to record a lecture in my office while syncing the lecture with the PowerPoint slides. You can see an example of the results here. We are still working out some of the technical kinks, and I need to become more comfortable speaking to a microphone, but I am encouraged by this first effort, and my goal is to do as many presentations as possible outside of class, reserving the class time for more active learning that I will blog about in a future post. If you would like to read more about my teaching goals, check out the teaching posts at The Conglomerate, where I have been discussing the decisions that I made in the re-design of my Business Associations syllabus. Sometimes to a hostile crowd. One of the things I love about the Krispy Kreme case study in Chapter 1 is that it allows the students to learn something about franchising. Given the importance of franchising to the U.S. economy, we spend precious little time on it in law schools. Earlier this week, Jayne Barnard emailed to note that she sent her students to franchise.com and AmericasBestFranchises.com to learn more about the industry. She also recommends Entrepreneur.com for a look at the Top 10 franchises for 2008 (the list has a number of companies that appear frequently in the case reporters because of their strained relations with franchisees). What do you do in the first class of the year? My first class session is on Monday, and I have assigned pages 1-7 of the casebook. This allows me to introduce the law of agency and to deal with one of the most interesting issues in that field: formation. Our vehicle for exploring that issue is a new case entitled U.S. v. Cyberheat, decided by a federal district court in Arizona. We chose this case in part because we thought that the students would be able to relate to the facts. Who hasn't received spam? We also like the idea that the case involves agency law embedded in a federal regulatory scheme. We see this again later in the chapter with Castillo v. Case Farms of Ohio, Inc. Cases like these subtly convey the message that this body of law is hugely important. A third reason we like the case is that it involves the "outward-looking consequences" of agency relationships. In other words, this case positions the putative agency relationship between Cyberheat and its affiliates as a counterpoint to regular people who just want to read their email without spam. Many of the students who enroll in the basic business associations course are brand new to business, but most have had a year of law school and understand the threat of liability. The fact that liability here is dependent on agency law gives the topic some salience. All of that is directed at conveying the importance of agency law, but one of my main goals on the first day of the course is to introduce some of the big themes of the course. Arguably the most important theme -- one that too often is left unexpressed -- is that we are dealing with "business associations." Though we often treat these associations as people, our task it to open that black box and peer inside. What goes on inside an association? How does that affect the association's interactions with others? Finally, I want my course to have a transactional spin, so on the first day of class I am going to ask the teams of students to represent Cyberheat. Based on what you have read in the case, could you modify the affiliate agreement to be more certain that you would avoid a finding of agency? We just heard from our publisher that the second edition of the casebook is attracting many new adoptions, well beyond expectations. If you have adopted the casebook, thank you! Building a loyal constituency for a casebook typically requires several editions, we are told, but the publisher was pleased with the sales of the first edition, and they seem positively ecstatic about the first semester with the second edition. As I noted when we announced the second edition, we made some important structural changes to the book that will make it more intuitive and, thus, easier for most people to teach. If you have any suggestions regarding the book, please do not hesitate to contact us. As we noted in the acknowledgments to the second edition, several adopters of the first edition made important contributions to the new edition. We look forward to hearing from you. There the court read a derivative suit remedy into the NY LLC statute despite fairly clear evidence that the legislature didn’t want it there. One danger of this sort of shenanigans is loss of predictability. If the court’s going to read stuff into statutes, how can we tell what statutes do and don’t say? Well, it didn’t take long for the birds to come home to roost in Albany. Appleton Acquisition, LLC v. National Housing Partnership, 10 N.Y.3d 250, 886 N.E.2d 144, 856 N.Y.S.2d 522 (2008) held that NY’s limited partnership statutory appraisal remedy precluded common law fraud remedies. But wait, said the dissent: since the statute didn’t clearly abrogate the common law fraud remedy, it should be allowed. For Larry's original post on Tzolis, see here. CA v. AFSCME is a fascinating case, and it will be fun to teach. I am writing a law review article examining the issues raised by the case, and the following notes are from an early draft of the article. "The board of directors shall cause the corporation to reimburse a stockholder or group of stockholders (together, the "Nominator") for reasonable expenses ("Expenses") incurred in connection with nominating one or more candidates in a contested election of directors, including, without limitation, printing, mailing, legal, solicitation, travel, advertising and public relations expenses, so long as (a) the election of fewer than 50% of the directors to be elected is contested in the election, (b) one or more candidates nominated by the Nominator are elected to the corporation’s board of directors, (c) stockholders are not permitted to cumulate their votes for directors, and (d) the election occurred, and the Expenses were incurred, after this bylaw's adoption. The amount paid to a Nominator under this bylaw in respect of a contested election shall not exceed the amount expended by the corporation in connection with such election." The board of directors of CA opposed the bylaw and requested a no-action letter from the SEC. In connection with its no-action request, CA submitted an opinion letter from the Delaware law firm of Richards, Layton & Finger P.A. stating, "in our opinion the Proposal is not a proper subject for stockholder action and, if implemented by the Company, would violate the General Corporation Law." In response, AFSCME submitted an opinion letter from the Delaware law firm of Grant & Eisenhofer P.A. stating, "Our Opinion [is that] the Proposed Bylaw is valid under Delaware law [and that] Delaware law recognizes stockholders' ability to enact bylaws such as the one contained in the Proposal." (I)	Is the AFSCME Proposal a proper subject for action by shareholders as a matter of Delaware law? (II)	Would the AFSCME Proposal, if adopted, cause CA to violate any Delaware law to which it is subject? more ... "CA v. AFSCME: Teaching Notes"